There are 50 impromptu public speaking topics here, covering a broad cross section of subject matter. Many of them are deliberately provocative to stimulate a response. Others are open-ended or neutral to allow whatever occurs in your mind to fit the topic. Use them for table topics at your Toastmaster's Club, with your public speaking class, or by yourself. Are you in a hurry & needing topics ready for use now? Solve your problem in 5 minutes. Get the 50 topics on this page + 48 more in an instantly available print and go pdf. Give yourself a strictly monitored preparation time of no more than one minute in which to note an opening, a couple of main points with examples and a conclusion. Deliver your speech while timing and if possible, recording it. Aim for at least two minutes. When you play it back, listen for fluency, structure and content. Each of those combine to create the overall impact of your speech. If you're using these impromptu speaking topics with a friend or in a classroom setting, use the same method but omit the recording as you can give your feedback verbally. Ideally once you or your class has become more confident, you'll lessen the preparation time. The ultimate goal is to be given a speech topic and to begin speaking on the subject coherently and easily, almost immediately. 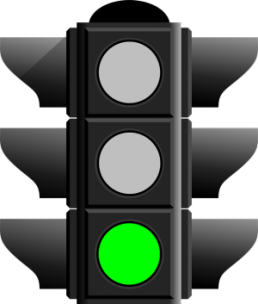 There's the green light! Open your mouth and go! Literally, you get given the topic, the green light or timer is flicked on, you open your mouth and go! If you've arrived at impromptu public speaking topics without having been to my impromptu speaking tips page, perhaps you'd like to go there to collect information on useful structural patterns and delivery tips before you begin. If you're new to this, they will help a great deal. Real wealth is never measured in money or possessions. Real love is not the stuff of pop songs. Junk food's popularity relies on marketing. To err is human. To forgive is divine. Discuss. The world is a smaller place these days. The more we communicate, the less we really say. To be grown up is a state of mind. Goals are good for you. Color affects the way people feel. Ill health begins in the mind. Team sports build strong individuals. Children learn what they live with. What characteristics make an ideal hero and why? What and who is an average person? In what situation is lying a good idea? What human quality do we need more of and why? How we look is unimportant. It's who we are on the inside that counts. Fashion victims I have known. Pets are for people who don't have children. Summer is the best and worst of times. Why? The media controls how and what we think. Advertising targeting children is immoral. Talking to someone and talking with someone are two different activities. Real learning doesn't occur in a classroom. What would you rather be - wise or intelligent? True wisdom comes from experience. What is normal is decided by the society we live in. Children should not watch television. Art is essential to life. Cities are for people not cars. Get the 50 topics on this page PLUS 48 more. 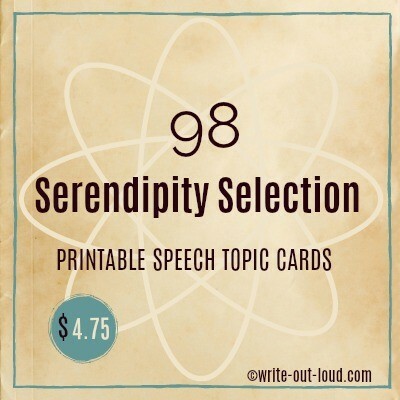 It's a Serendipity (little-bit-of everything) Selection in an instantly available printable format -14 per A4 page. Preview an example from the Proverbs collection. The topics from this page are formatted in exactly the same way. Ask your friends/family/class to write down three per person. Listen to the radio or scan the newspapers for local/national/international issues. Possibilities are everywhere once you consciously look. 10+ themed sets of impromptu public speaking topics fresh from the creative, wild and wacky department! If you're looking for inspiration for your public speaking class or you need table topics for Toastmasters, click the link now. Themed topic sets to get them laughing - the best way to learn. For further impromptu speaking practice ideas read my "free word games" page. While some of these activities are drama based you'll find all 10 of them useful and FUN! They are especially good if you're a teacher looking for ideas to help you plan impromptu public speaking lessons for your class. The One Minute Speeches activity featured below is included in my free collection however it's minus the pdf of instructions, game variations and printable topics. 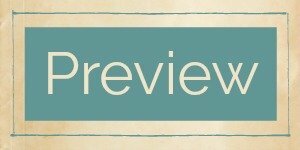 One minute speeches - 368 topics + instructions! 368 topics, instructions for introducing and running a session on One Minute Speeches, plus activity variations in an instantly available format. A great reusable impromptu speaking resource for busy teachers! Have a look.